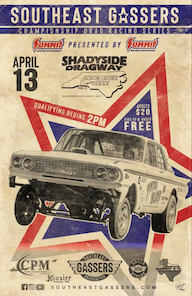 As of 2pm Friday... 81 SEGA legal race cars have pre-entered for next Saturday atShadyside Dragway. THE LARGEST FIELD OF SEGA COMPETITION EVER!! !